Montagne d'Or gold project. Photo by Columbus Gold. 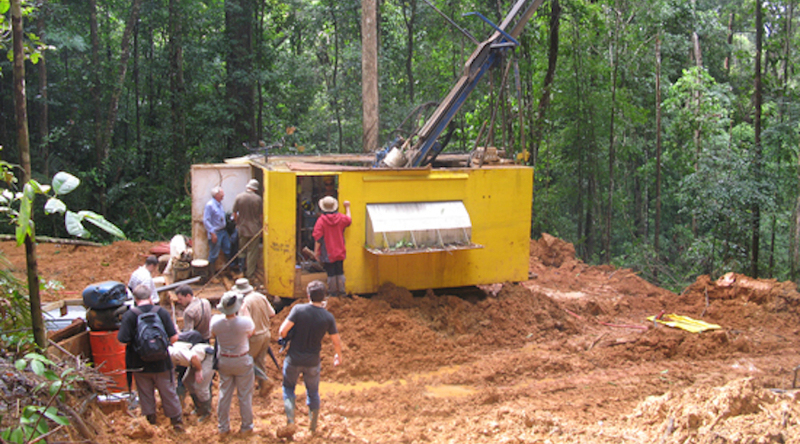 Although faced with a comprehensive assessment process and the fact that the French government formed a special committee to evaluate in detail the social and economic benefits and impacts of the gold mining industry in French Guiana, Columbus Gold (TSX:CGT) issued a statement today saying that its Montagne d'Or gold project, which is located in the overseas territory, is moving forward with permitting. Montagne d'Or is comprised of eight mining concessions and two exclusive exploration permits, covering an area of 190 square kilometres and it is located close to the town of Saint-Laurent-du-Maroni, in the northwestern part of the French department. Proven and Probable Reserves for the operation have been estimated in 2.75 million ounces gold (54.11 million tonnes @ 1.58 g/t gold). After 14 public hearings that lasted for five months, the French National Commission of Public Debate published a report that outlines a series of steps to be undertaken by the Montagne d'Or joint venture, where Vancouver-based Columbus has a 44.99% participation and Nordgold 55.01% participation, in order to continue moving forward. Such strategies involve improving transparency; avoiding underestimating cultural values; being more precise on the definition of risk management measures; testing wherever possible, several options on sensitive elements of the project; the obligation to take into consideration recommendations of the French Geological and Mining Research Bureau; and prioritizing options that minimize risks and impacts. Now, Montagne d'Or has until December 7, 2018, to declare in the Journal Officiel its intent to proceed with permit applications to develop the gold project, taking into account such recommendations.